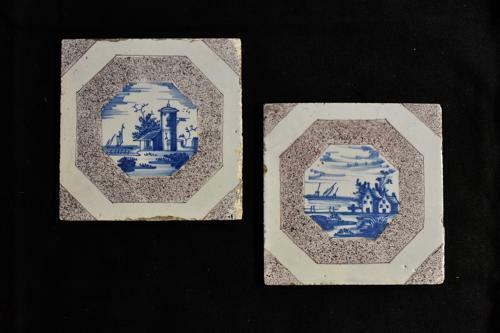 A decorative pair of mid 18th century Dutch Delft tiles with blue and white pietorial scenes. The images are within an octagonal border of manganese with matching corners. Circa 1740. Condition: good but with very minor damage to the edges as expected.